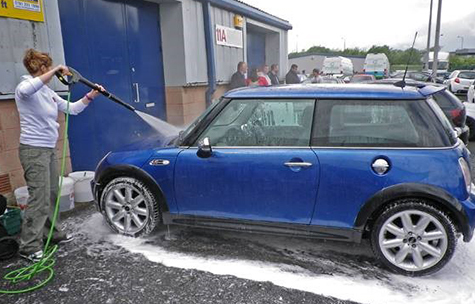 If you have a car that you drive on a daily basis then washing it at least once a week will enable you to keep on top of the above contaminates and keep it up to a general standard. Now if this makes you think of sponges and chamois then beware! Using these will trap grit and grime between the sponge/chamois and your paintwork leading to damage. Even potentially with the correct techniques if you wash more than once a week you are running the chance of inflicting more paint defects such as swirl marks and random scratches. 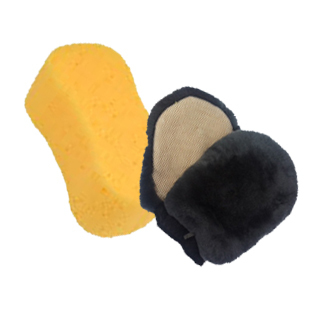 Rather than a yellow sponge we recommend the use of lambs wash mitts, these are organic long fibre, super soft mitts which trap grit and grime and lift it away from the paint surface while you wash. Plus a shampoo that will not strip your existing protection on the vehicle and using a two bucket wash method. Also we recommend using a microfibre drying towel over a chamois and pat rather than wipe. This will help towards minimising the risk but never get rid of it all together. This is one of my favourite parts of washing and preparing a car using Snow Foam; it's like giving your car a big bubble bath! It used to be quite an unheard of process; however it’s now become much more common over the years since we have been running. Before you get your buckets and wash mitt out you should be looking at giving the car a pre-wash. 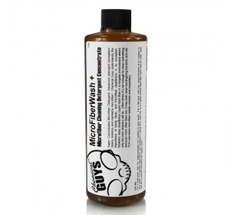 This is essential which helps to soften dirt and any larger particles that are on the paintwork and wheels and draw them away from the surface, in effect an initial touch less wash. You can leave the foam to cling to the car and soak for around 5 to 8 minutes depending on the weather/temperature at the time. The advantage of this is that you will remove more dirt and once rinsed off using a pressure washer this minimises the risk of inflicting marring and fine scratches rather than going straight at it with your wash mitt and grinding it into the paint. Obviously we do recommend this process but if you do not have an appropriate lance for your pressure washer then we suggest that you spend some time carefully rinsing starting from the top to the bottom to remove as much debris as you can. If however the vehicle has not been cleaned for several weeks and due to our wonderful British weather been wet then dry several times this will unfortunately make your job a lot harder and in these circumstances the advantage of pre-washing comes into its own. Another downside of rinsing your cars like this is that the water from the pressure washer will be pushing the dirt around the surface of the paint not in the same manner as using a yellow sponge or washing using your mitt straight away but you do run the danger of inflicting more marring than if you do use the pre-wash foam system. Some pressure washers come with their own small lance bottles but unfortunately these have not been created for snow foam more to use with your shampoo, therefore you will find that these will work to a certain extent but will not produce the thick foam which will lift off dirt. It tends to be thin and very runny. We recommend using a P.A. Foam Lance and have a variety of fitments available to fit your pressure washer, if you’re unsure of what you need then please get in contact with us. Ok so you might be thinking why can't I just use my shampoo rather than having to spend extra money on this snow foam. Well to start with you tend to find that the cost of snow foam is much cheaper than recommended shampoos due to the concentration. As you should only need around a cap full of shampoo per bucket rather than an inch or so if not more that would need to go into the snow foam lance bottle. 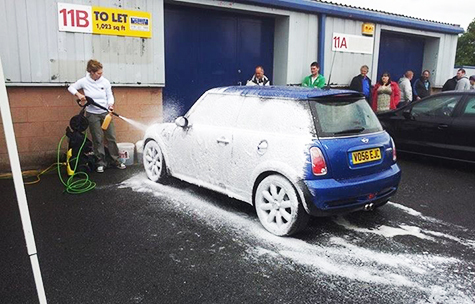 A 5 litre bottle of snow foam should last you around 6-8 months if not more depending on how often you wash your car(s). As we have explained do not rinse the car using the pressure washer first start spraying the car dry as you will find that the foam will cling better. 1) Work your way all around the vehicle. You'll notice that I also coat the wheels and wheel arches. small detailing brush to remove any clinging dirt in these areas. 4) Rinse off top to bottom. On receiving the snow foam lance kit from us you need to attach the plastic tube to the metal connection (this can be found inside the white 1 litre bottle). Pour 1 to 2 inches of snow foam into the white 1 litre bottle and then top up ideally with warm water, although it does work affectively with cold. Attach the lance head to the bottle and give the mixture a good shake. The lance head has two valves that need to be adjusted (this may have already been done before we dispatched the item). Hold the lance so that the part that connects to your pressure washer is facing you and the spray end is facing out. Firstly the valve on the top (round/black, this adjusts the amount/dilution of water and snow foam coming through) needs to be turned all the way to the right (+ sign) and then moved back to the left very slightly (to – sign). The second adjustment is the black end pointing outwards which you can vary the fan of the product being dispensed. The setup of your lance can be very dependent upon the type of pressure washer you have and the water pressure, so if the above doesn't give you the right setting have an experiment with your lance until your happy that it is producing a nice thick foam. The amount of time you leave it to dwell on the vehicle is dependent on the weather temperature, however generally it can be left for 5-8 minutes. Note it will dry on if the temperature is too hot and if too cold it can freeze. You may have heard this process mentioned and to be honest the concept behind it is quite simple. Have you ever thought about what you're actually doing using only one bucket? Basically you are putting the dirty water back on to your vehicle so in theory you are simply rubbing the dirt and grime into the paint. If you use two buckets – one for your shampoo and the other for clean water, it means that you are rinsing your mitt in the shampoo free bucket and only putting the clean shampoo water on to your car. So saturate your wash mitt in the shampoo suds and clean one-two panels then rinse off thoroughly to ensure that the dirt particles picked up are removed before adding more clean suds on the mitt. In addition to using the two separate buckets they should contain a scratch shield (or grit guard) at the bottom which will trap the dirt below preventing it from going back into your mitt after having been rinsed. 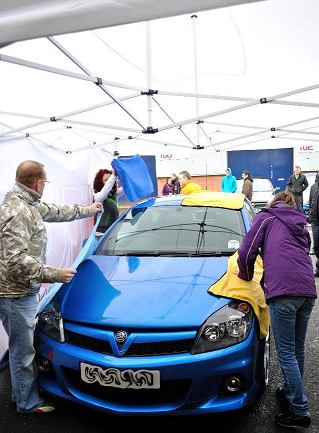 Having now discussed the proper washing techniques it may become clear why using the traditional old yellow sponge is not a suitable way of removing dirt from your vehicle. As the surface of the sponge is flat is cannot lift the dirt particles away and they are trapped against the paint which is then moved around causing fine scratches. As you can imagine the larger the dirt particles the deeper the potential scratches become. There are a variety of Lambswool mitts ranging from short to long piles which as used over the panels will draw away the dirt particles up inside and be trapped within the natural fibres. 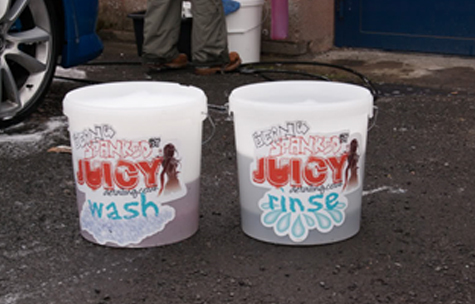 These can then easily be rinsed in your bucket ideally using the two bucket method as previously discussed. 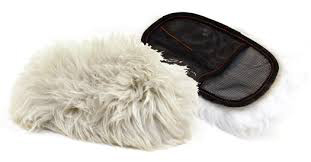 You do need to be careful and look after the lambswool mitts as they are not particularly durable, so take care of your mitt as you would your other detailing equipment. It's important to rinse it out after use in clean water and allow to dry naturally. You should look to change the mitt around every 5-6 months depending on how often you use it. We also do not recommend using a lambswool mitt on your alloys as the hairs can catch on the tight nooks and crannies of the spokes which can lead to tearing of the mitt; therefore either a microfibre/noodle mitt in conjunction with specific wheel brushes (if you prefer to use this kind of mitt on the paint panels then beware that it will need to be rinsed more often than a lambswool mitt as the fibre lengths are shorter and can become clogged easier). 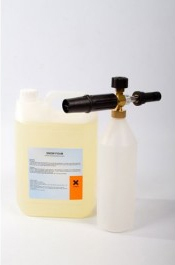 For more information on cleaning alloys please take a look at the relevant guide. So having rinsed off your vehicle using either an open ended hose or the pressure washer rather than leaving it to dry naturally which is a good method of not causing further damage to the paint work, it can leave water spots and attract dust and dirt which of course ruins the end look. Chamois Leathers are also not a good way of drying your vehicle as again they can trap contamination below causing damage. We recommend pat drying by using a super absorbent microfibre drying towel instead of wiping as you are looking to reduce any movement on newly landed contamination. Although it sounds as if this will take longer it doesn’t and another benefit is that it will not leave any streak marks on the panels. 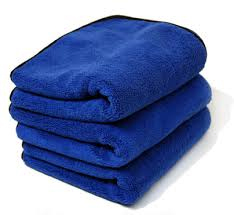 These towels will absorb much more water than a chamois or a hand sized microfibre, in fact many times its size without the need for wringing out so you can more than likely dry the majority of your car. Work from the top down and don’t forget inside the door sills and boot. As with all of your detailing products you want to look after them properly to prolong their life. 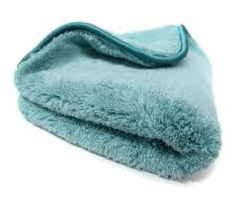 Washing your Microfibre Cloths & Drying Towels – you can wash these in a washing machine and either use a specific microfibre wash product such as Chemical Guys Microfibre Wash or alternatively you can use a non-biological washing liquid around 30-40 degrees. 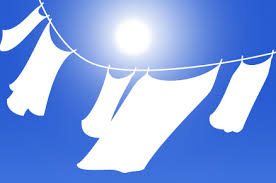 Do NOT use any fabric softener as this will damage the microfibre and you will find that it will no longer soak up as much water as originally intended and particularly with your drying towels this will then defeat the object of using them. Allow them to dry naturally, do not use a tumble dryer. Washing your Lambswool Mitts – Strictly speaking if you are using the correct wash 2 bucket method the mitt should not be getting that dirty. After use rinse the mitt thoroughly with clean water and allow to air dry. Do not leave it in a bucket of water because as an organic product it will rot and you will find that it will fall apart after a period of time. Remember these are delicate products and they need to be treated with respect. These will only last for a period of 6 months depending on how often you use them and need to be replaced frequently. It is possible to put them in the washing machine and again washing with a suitable product is required and look to wash on a wool cycle.